We are specialists in letting residential property in London for more than seven years. Our staff are conscientious, highly professional and productive, with an excellent understanding of the property market in our local area. We have a very exceptional skill set that makes us successful in marketing properties all over London, with over half of our business coming from referral and recommendation. 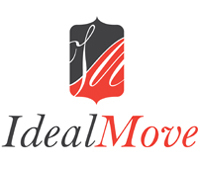 Ideal Move’s main target is to make our clients the main aspect of our business and act on their behalf, whether selling or letting, to make sure we use immense marketing and proficient negotiation, so that the we achieve the best possible price. Our company has always been inventive, we frequently publish our new properties all over the World Wide Web. We have an active and growing profile on social media and we use engaging content in its digital marketing.